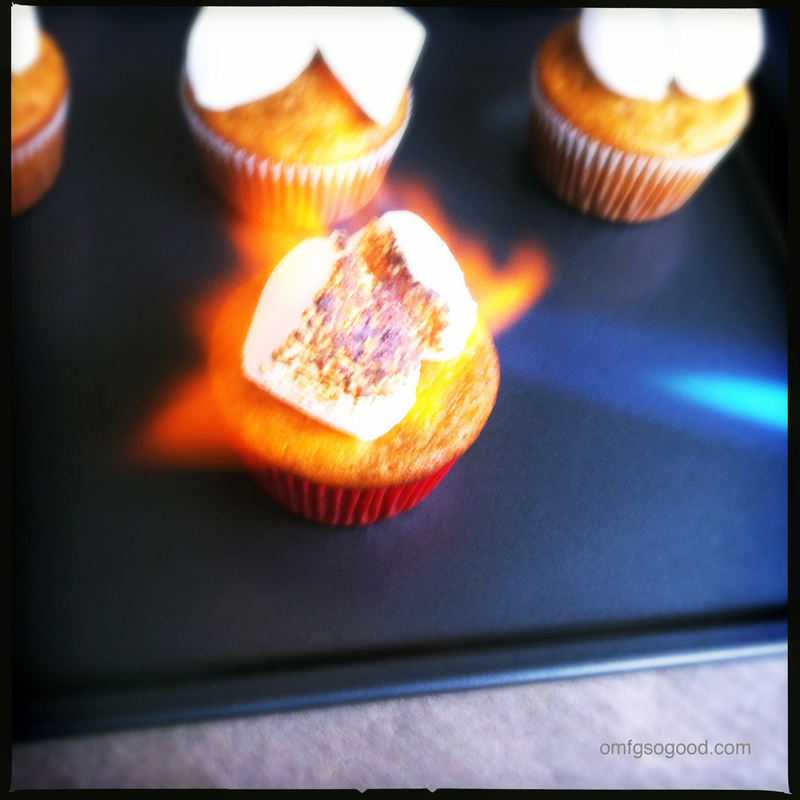 roasted sweet potato cupcakes | omfg. so good. I believe there’s a storm a-brewing. Three days straight, dark clouds overhead. I’ve heard reports all day of cupcake sized hail. Seriously though, It’s been ‘cold’ (low to mid 50’s) and rainy here for the last three days. We rarely see rain, let alone rain for an entire day. Almost never an entire three days. Growing up on the East Coast, I’ve seen my fair share of cloud covered skies and days on end of rain. When I moved out West I thought I’d be fine with never seeing another rain cloud again. I was wrong. I missed them. A lot. Don’t get me wrong, it’s pretty nice waking up and knowing there’s a 99.999999999% chance it’s going to be sunny out. But once in a while it’s nice to have a full day of being (guilt-free) housebound, wearing sweat pants, eating comforting foods, watching TV. Basically being really, really lazy. 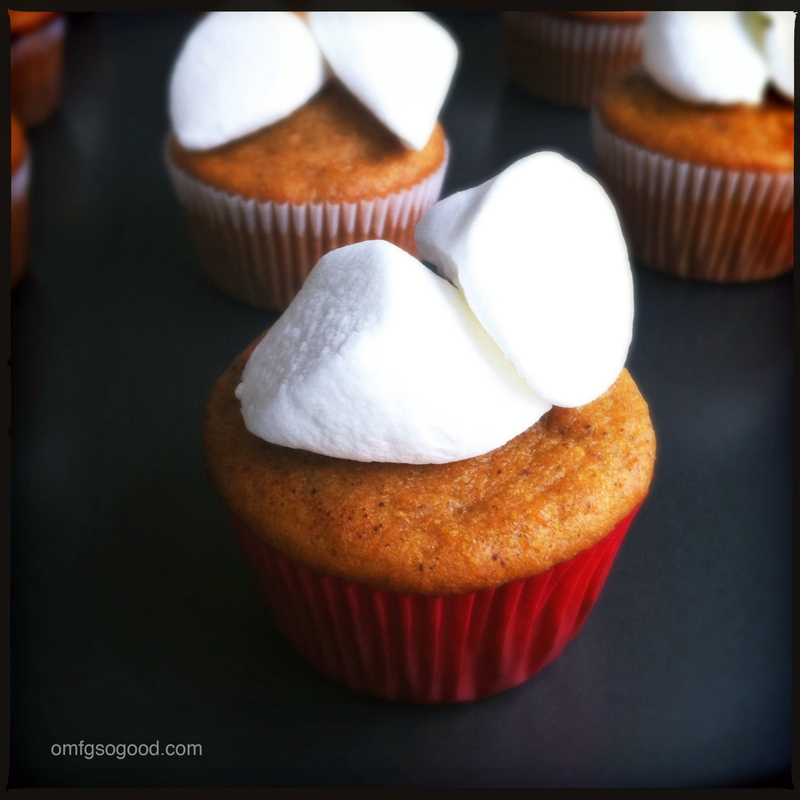 Well, maybe just one ‘really’… I did get off the couch yesterday to make a batch of Roasted Sweet Potato Cupcakes. Which, BTW, are amazing. 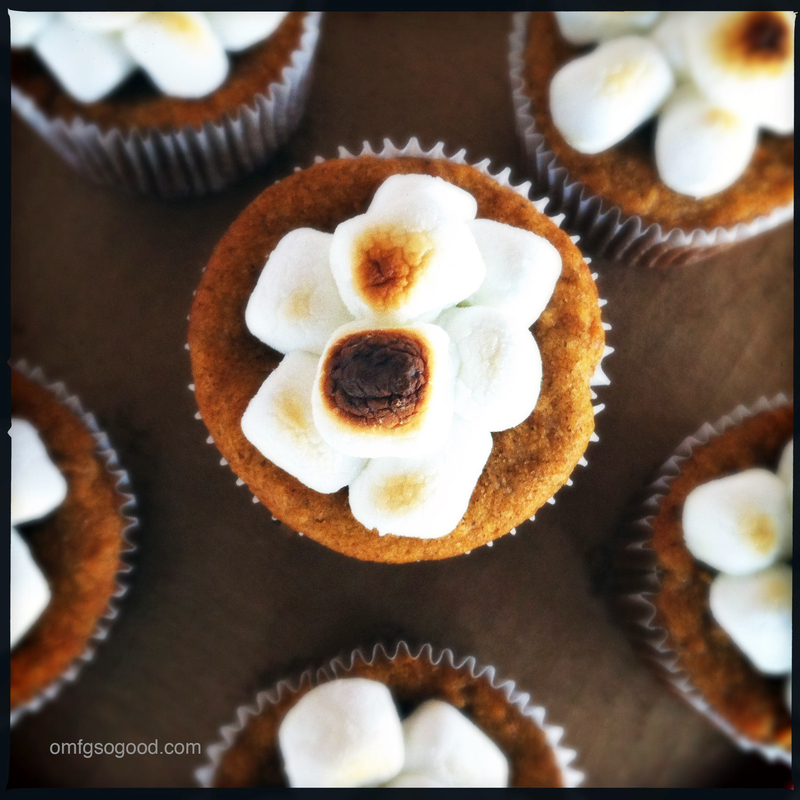 I’ve seen other recipes for cupcakes using sweet potatoes, but here’s where I toot my own horn a bit. Mine are better. Instead of using boiled sweet potatoes and mixing the spice blend with the dry ingredients, we’re going to toss our potatoes in a drizzle of fresh orange juice, along with an aromatic blend of cinnamon, ginger, nutmeg, cloves and mace, then oven roast and smash them. Top the finished cupcakes with roasted marshmallows and you’ve got yourself one heck of a treat. Preheat the oven to 400 degrees. Line a sheet pan with parchment paper. Peel and cube the sweet potatoes and toss them in a medium sized bowl. Sprinkle the potato cubes with the cinnamon, ginger, nutmeg, cloves and mace then add the orange juice and toss to coat. Spread them in a single layer on the prepared sheet pan and roast in the preheated oven for 20 – 25 minutes or until fork tender. Using a potato masher, smash them until almost completely smooth (I prefer to have a few random little pieces in the cupcakes for textural zing) then set aside to cool. Reduce oven temperature to 350 degrees. Line a muffin tin with paper liners and set aside. In a small bowl, combine the flour, baking powder and baking soda and whisk to combine. In the bowl of a stand mixture, fitted with the paddle attachment, mix the brown sugar, white sugar and eggs until pale and fluffy. Add in 1 cup of the smashed potatoes and the vegetable oil and mix until just combined. Add the dry ingredients in two batches, alternating with the milk, and mix until just combined. Use a rubber spatula to scrape the sides and finish mixing. Spoon evenly into the 12 cupcake liners and bake in the preheated oven for 20 – 25 minutes or until a toothpick inserted in the center comes out clean. 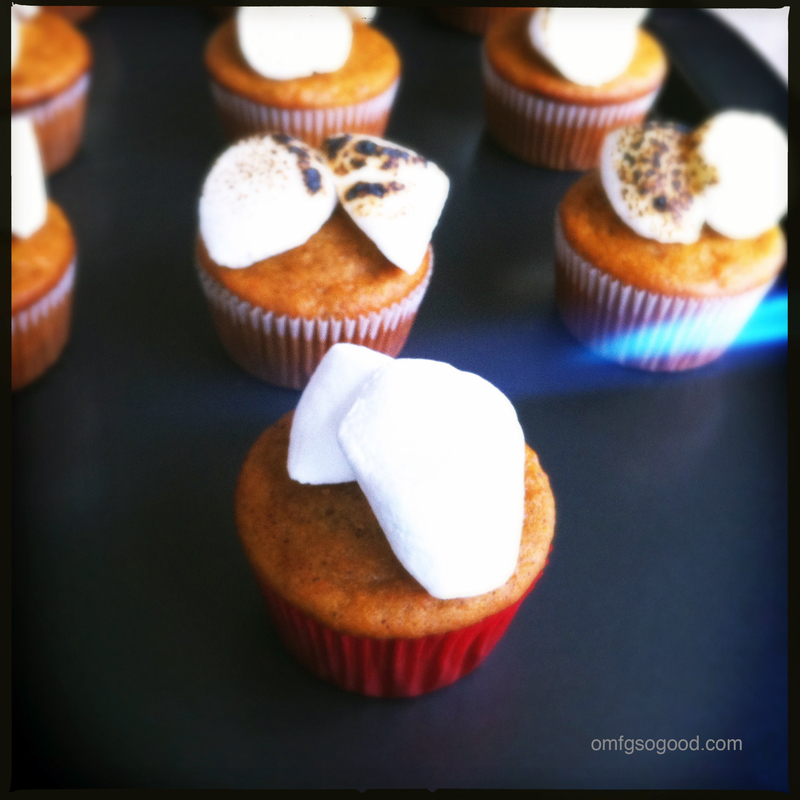 Let cool to room temperature before topping with the marshmallows. Now, settle in to the couch under your favorite blankie, armed with one or two cupcakes, and enjoy the rain. You can pretty much bet that’s what I’ll be doing. 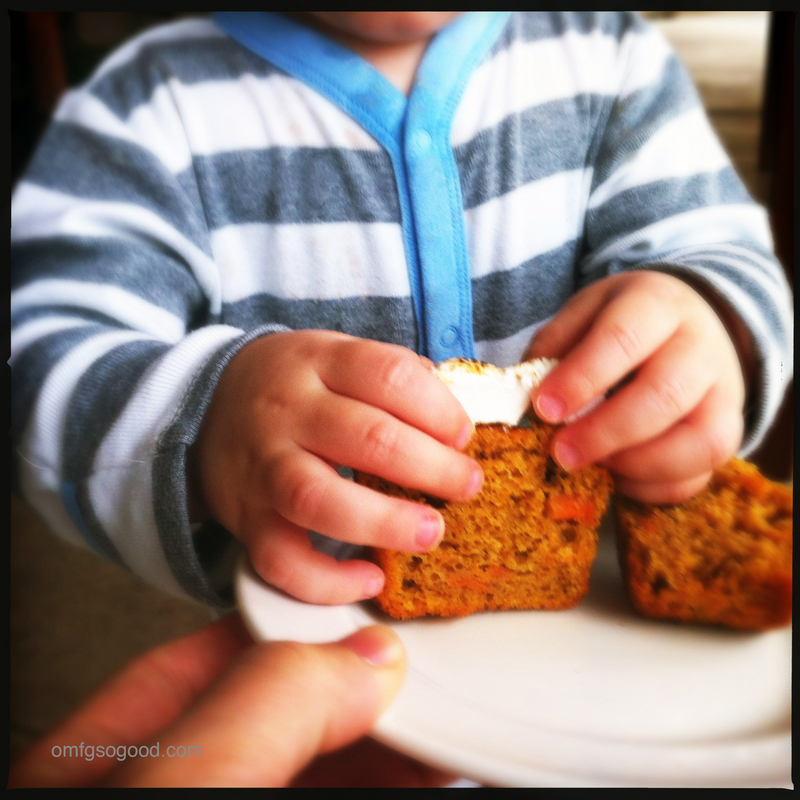 I have a SweetPotato obsession…this is going to be happening in my kitchen soon! Thanks for sharing! These ARE AMAZING! Thank you so much! 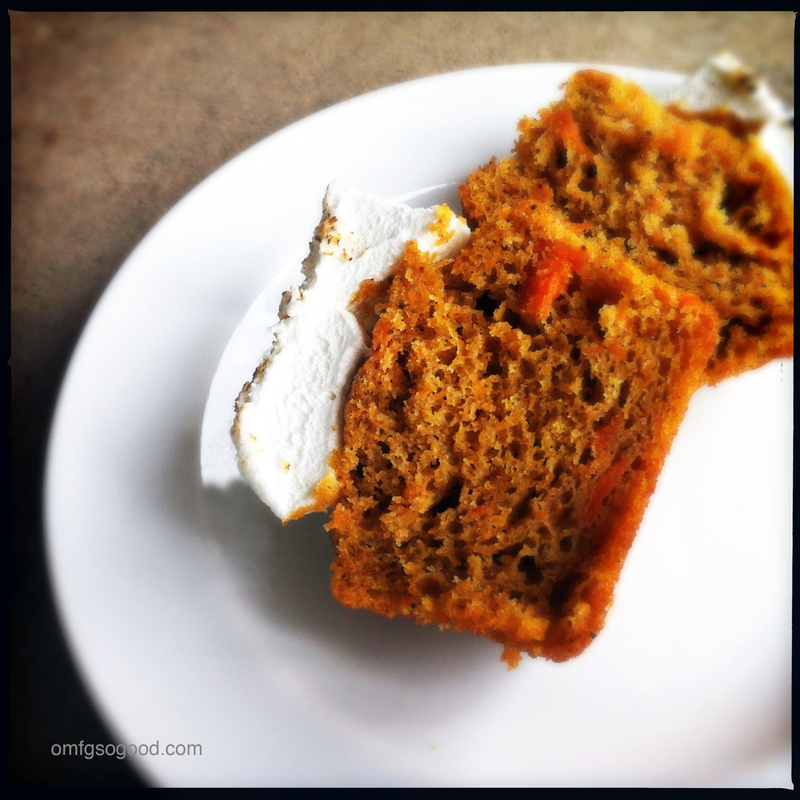 So … be honest with me: healthy or not? Or sorta? What do you think?